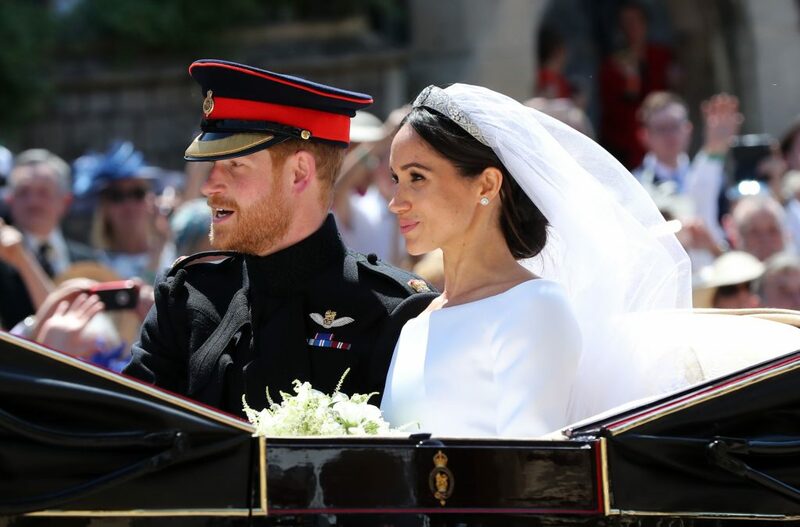 Have you been glued to the tv screen today to watch the royal wedding of Megan Markle and Prins Harry? 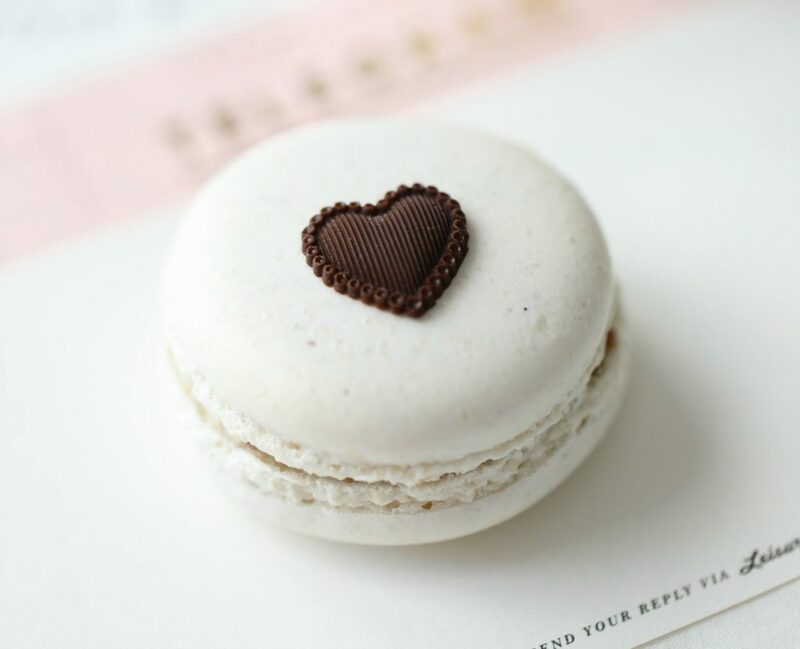 How beautiful wasn’t this wedding? 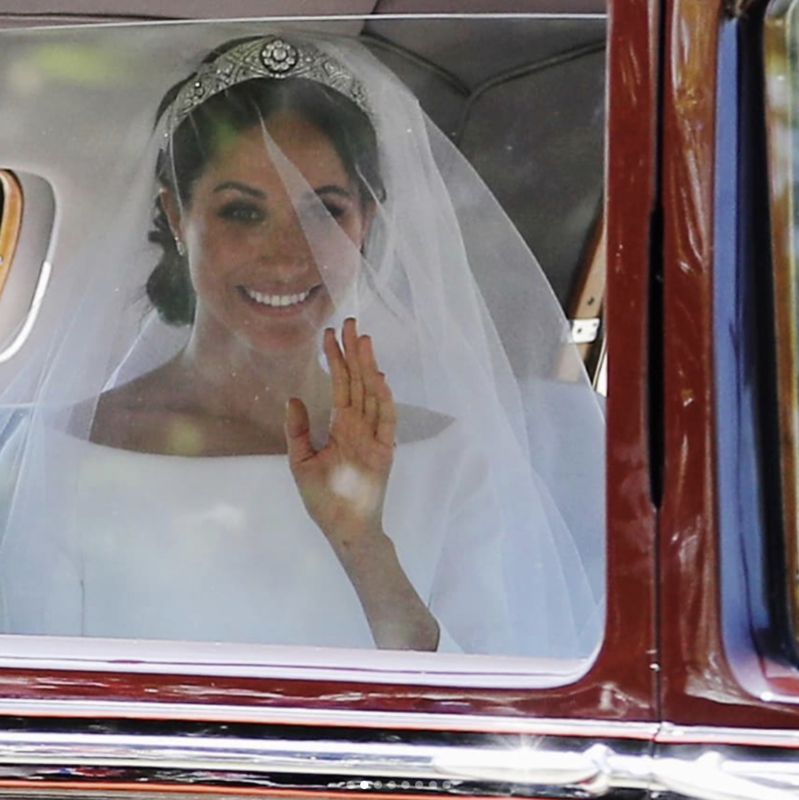 Her dress and simple look reminded me of Jackie Kennedy, I have been a fan of Princesse Diana from the beginning and I think she would have loved Megan. 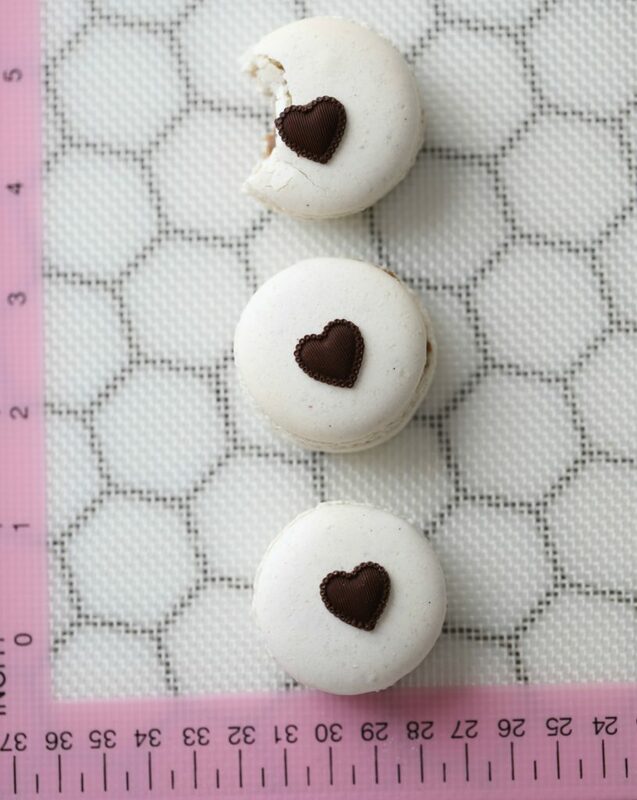 I wanted to make elegant macarons with a romantic touch, that would be perfect for a wedding! 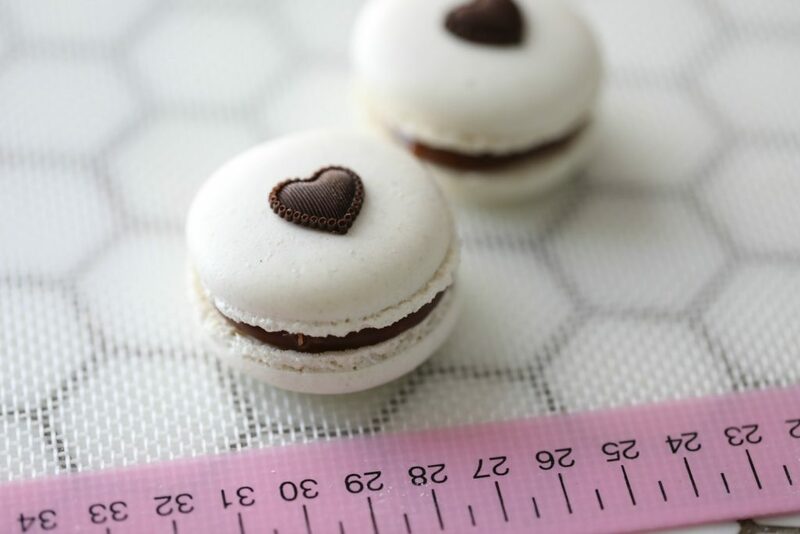 I have always loved the simple look when it comes to cakes, cupcakes, and cookies and always focus on taste first and by just adding a little chocolate hearth on top of the macarons, gave it a beautiful look. 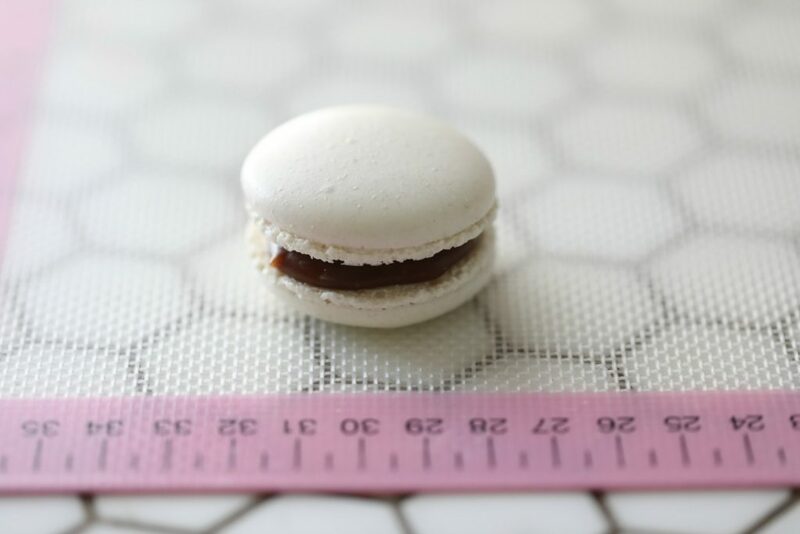 The filling is so gooey, it is a milk chocolate fudge filling, and tastes just like a gooey caramel filling. 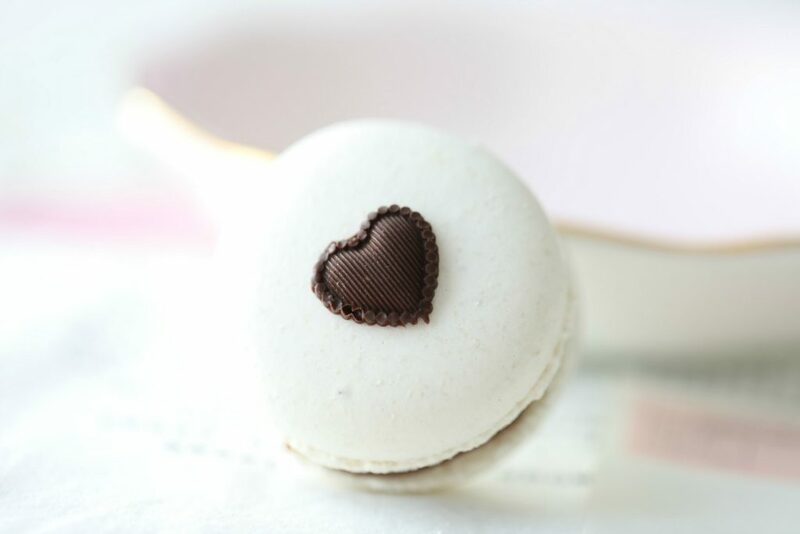 For taste I added vanilla bean paste into the macarons batter, I love the look and taste of real vanilla seeds in my baked goods. 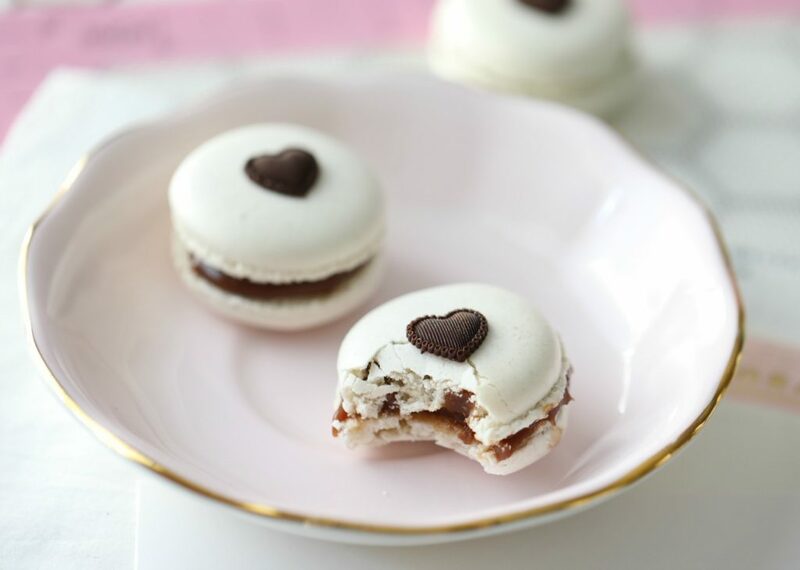 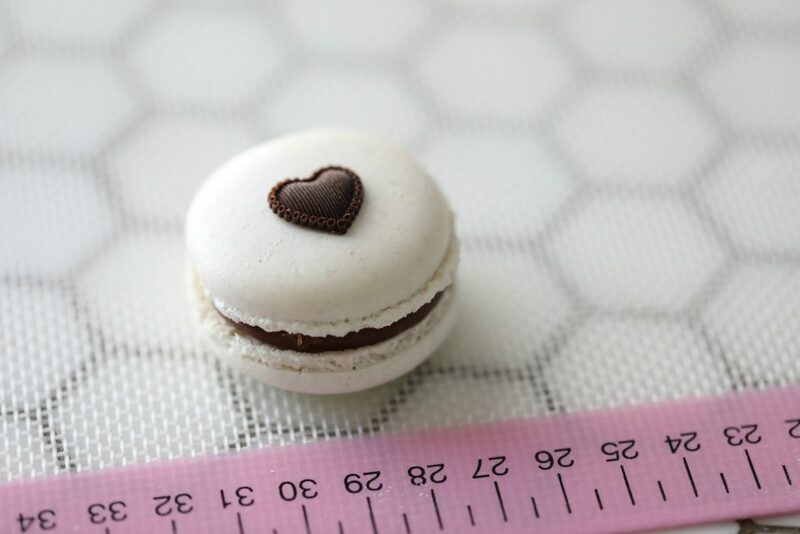 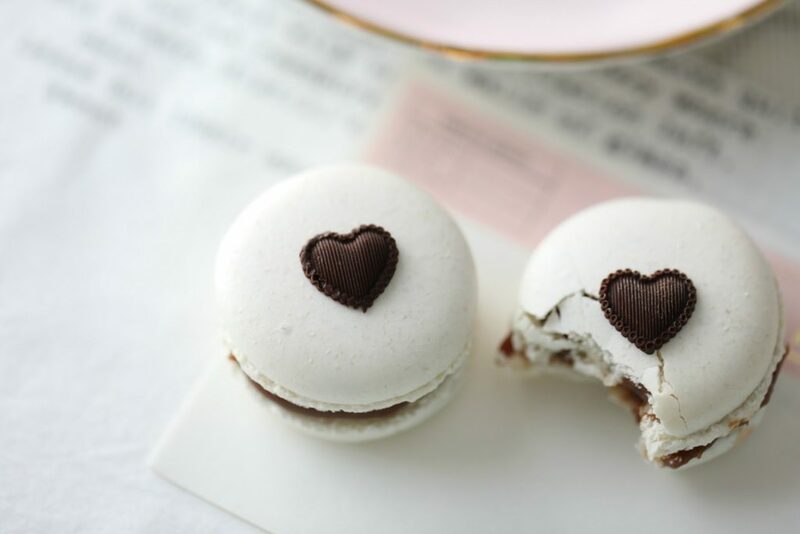 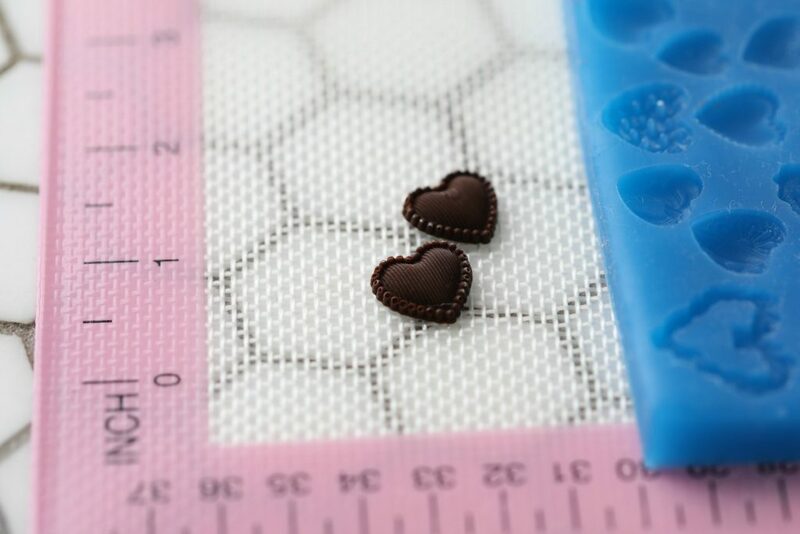 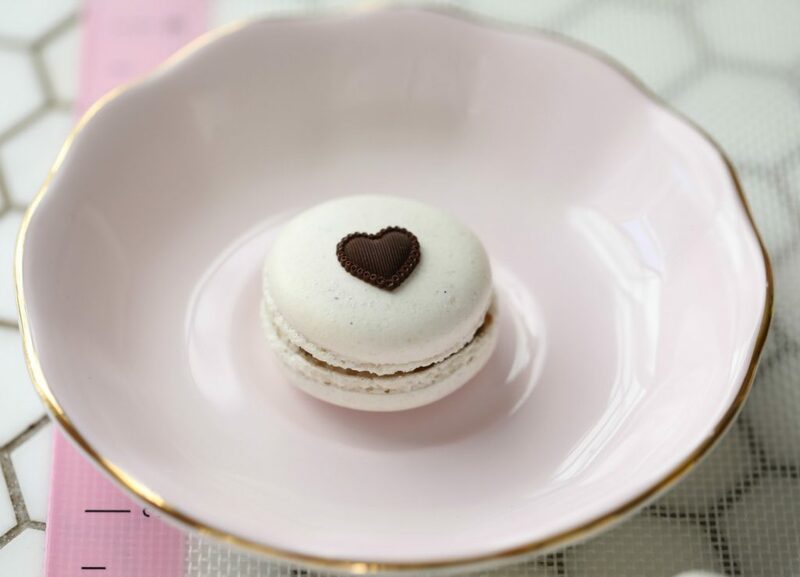 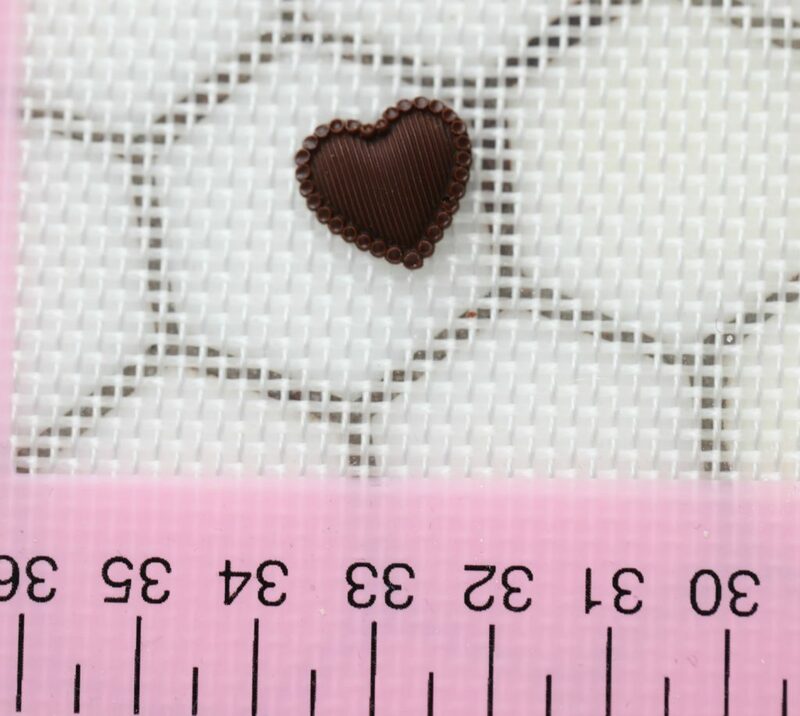 And isn´t this chocolate heart cute, I just love it, These macarons are perfect to serve at any wedding if you ask me. 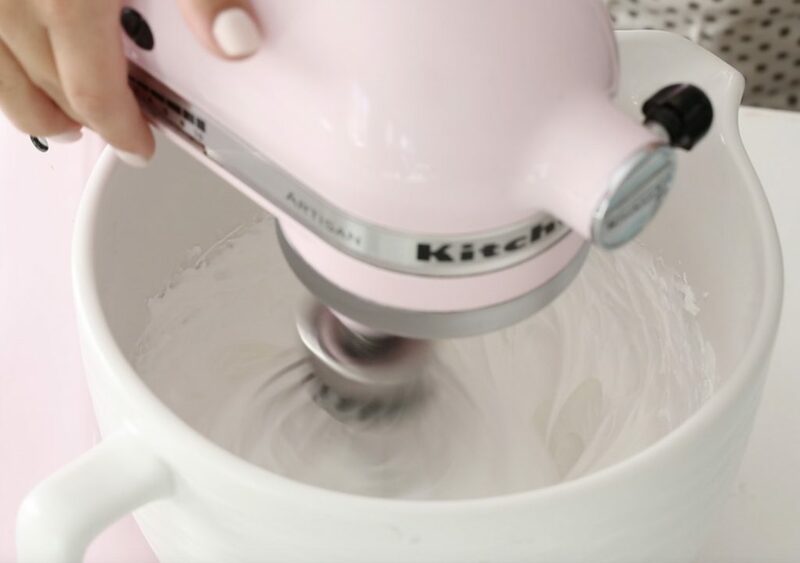 Milk chocolate fudge frosting, get the recipe →here. 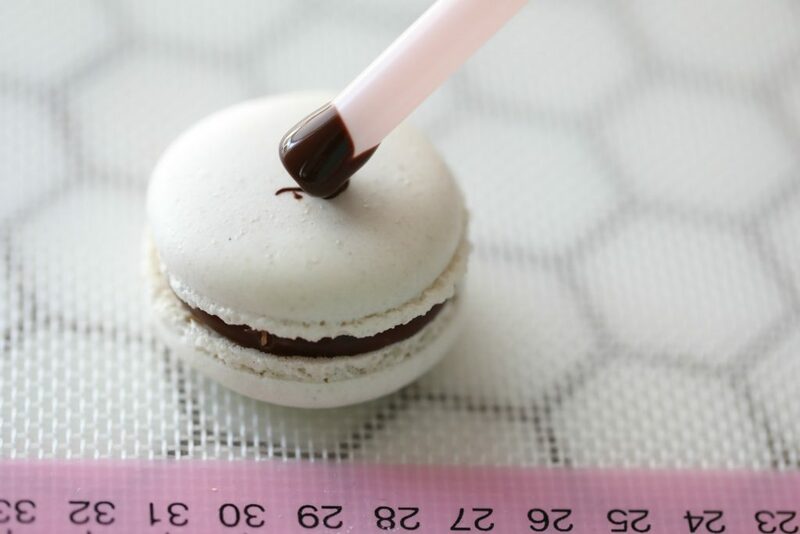 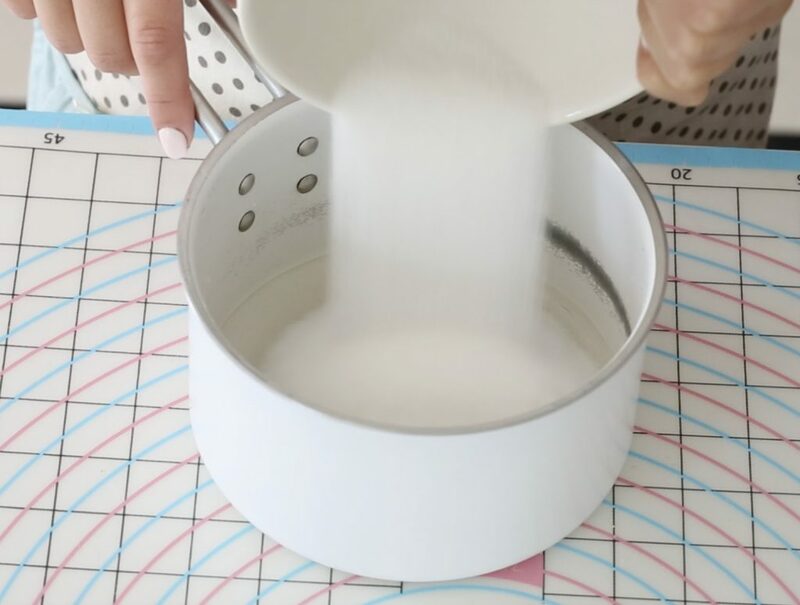 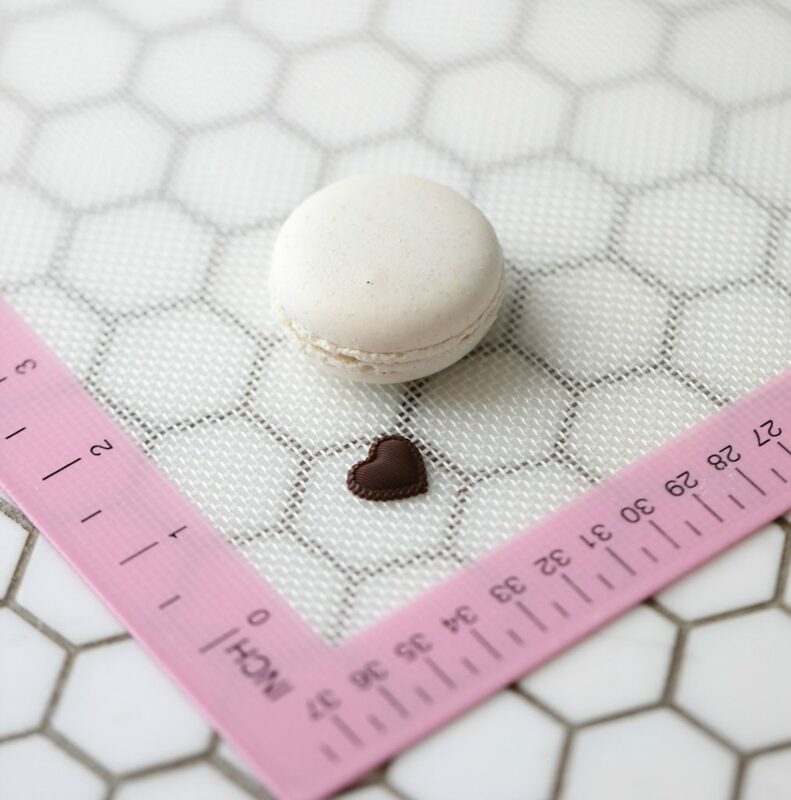 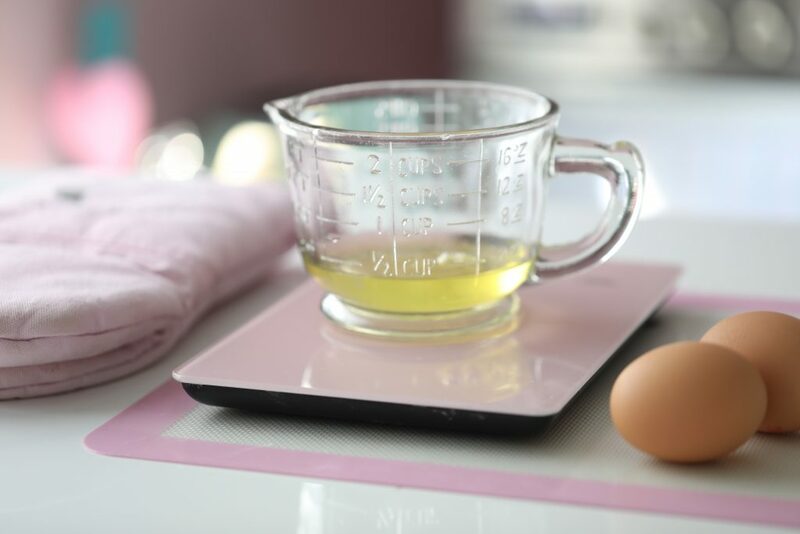 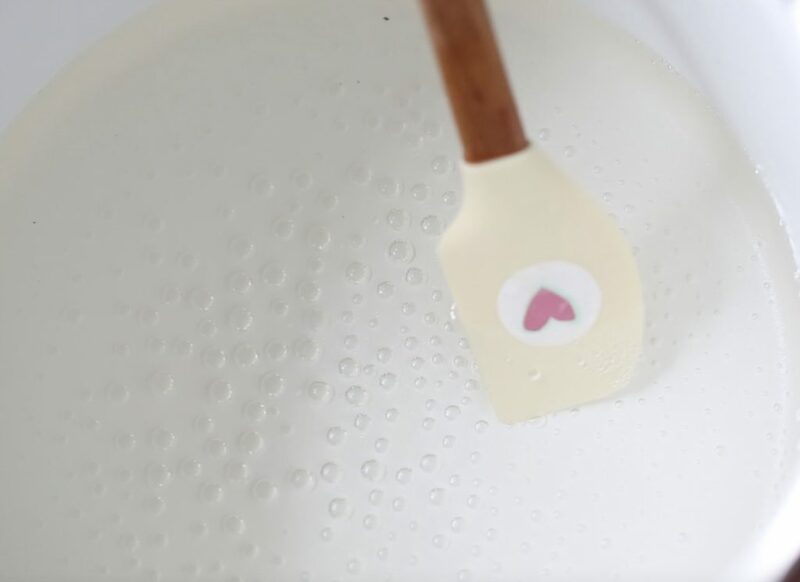 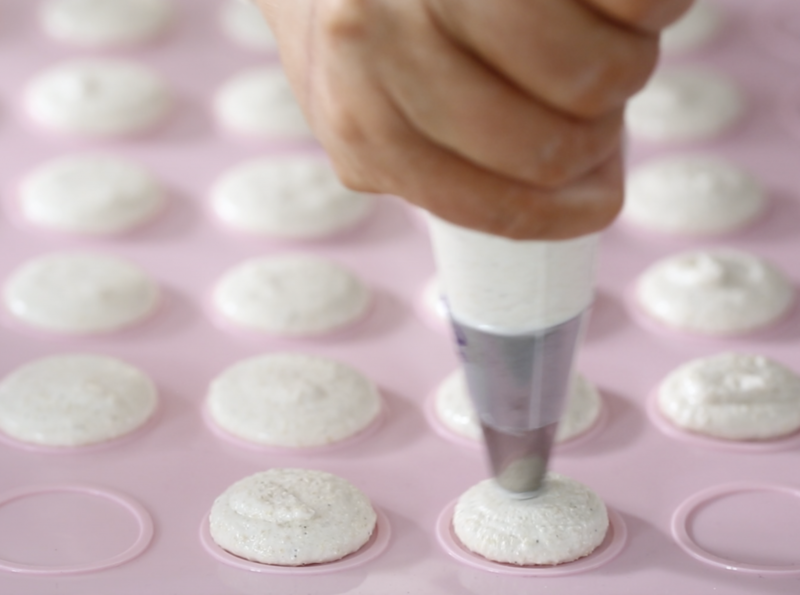 Line two baking sheets with silicone macaron baking mats or with parchment paper, If you use parchment paper, add a little dot of the macaron mixture underneath each corner of the parchment paper so it stays attached when you pipe. 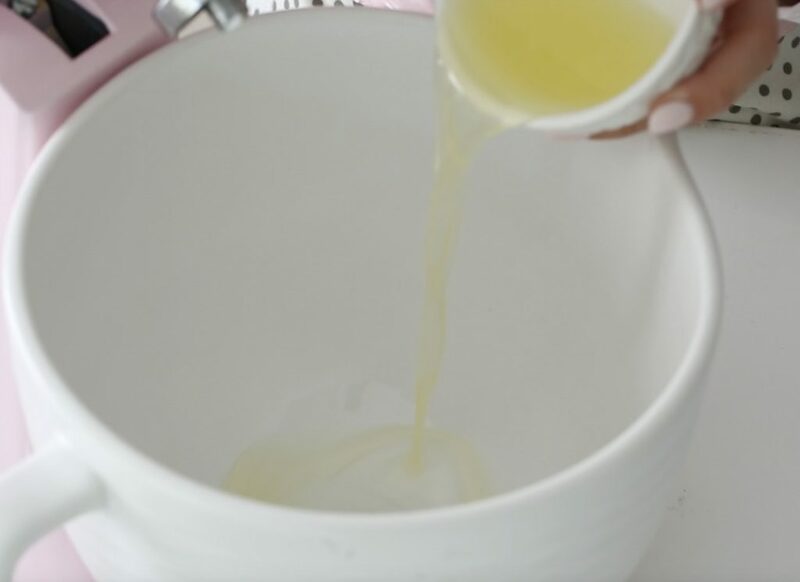 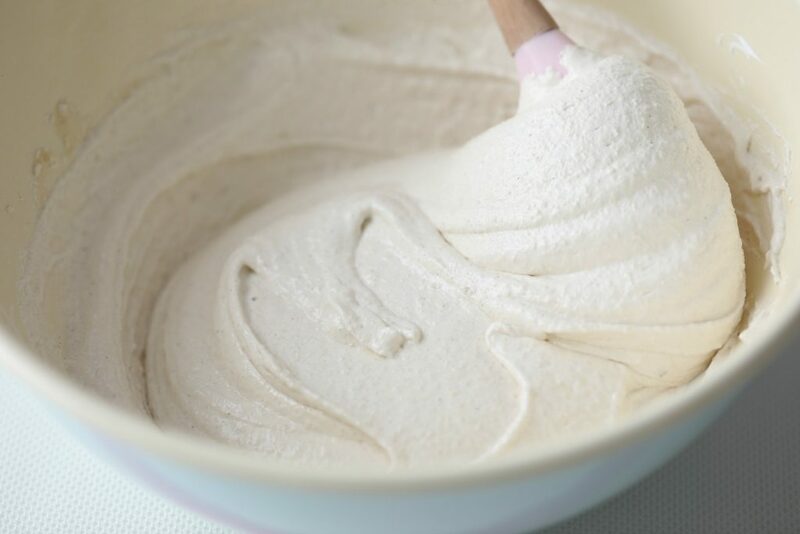 Once the sugar syrup temperature reaches 235F° (113ºC) begin whipping the egg whites on high speed. 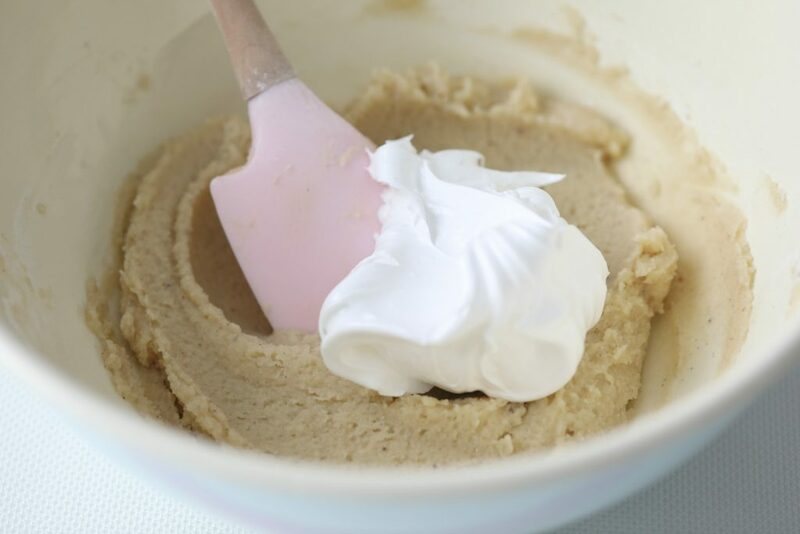 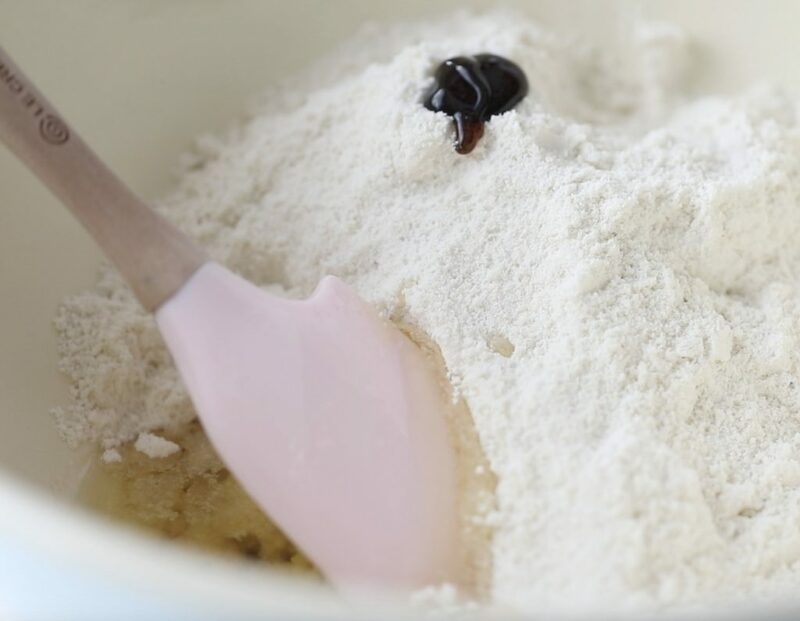 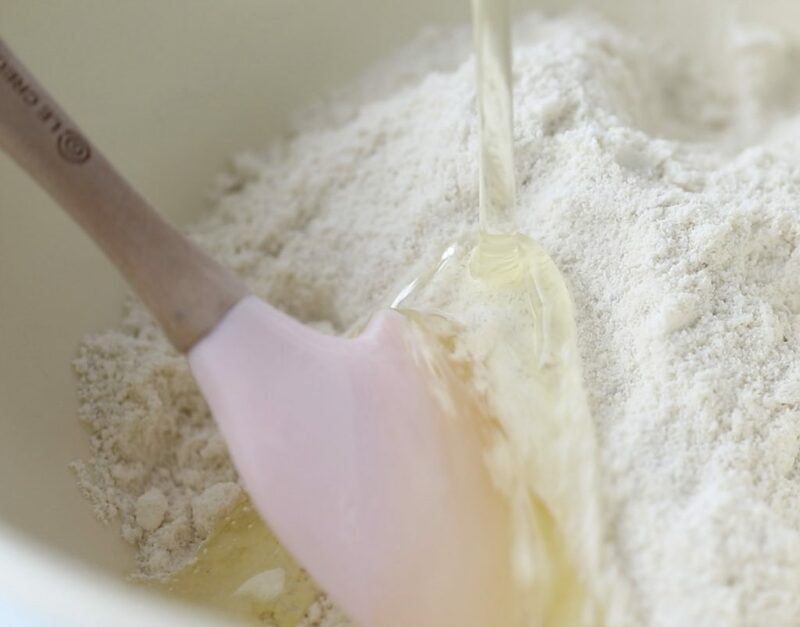 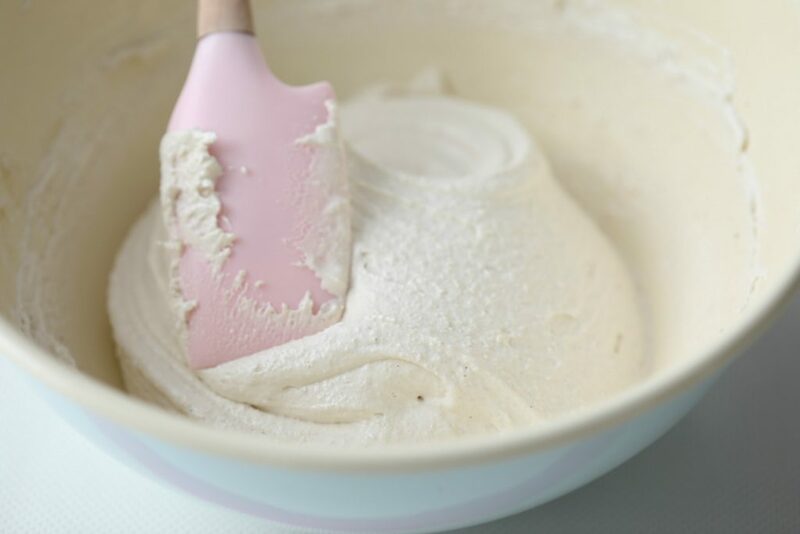 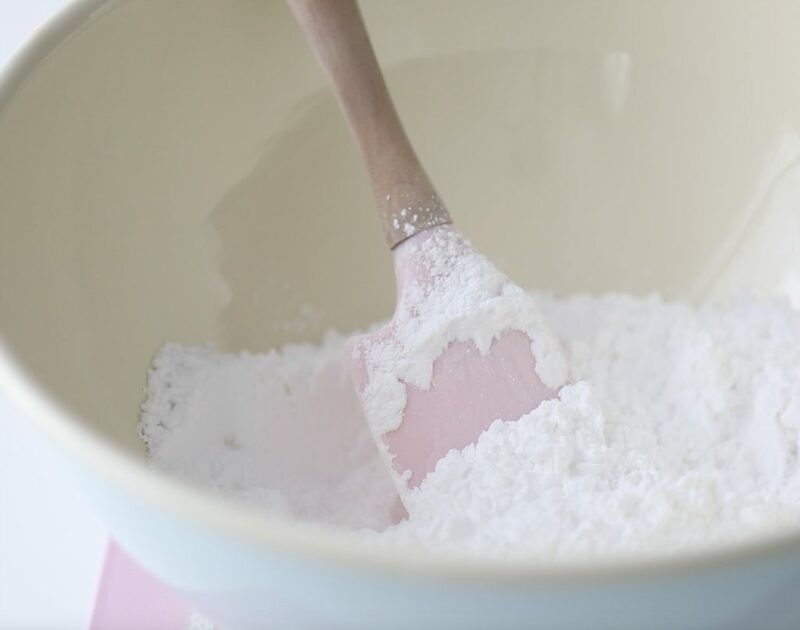 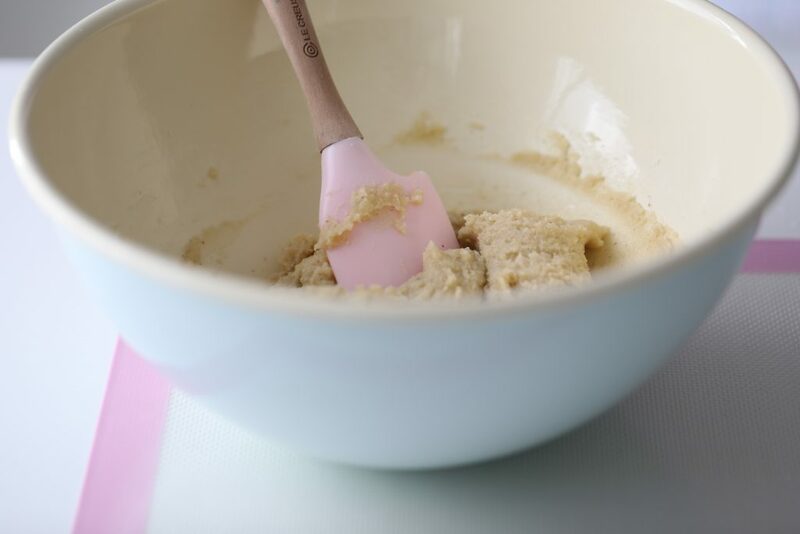 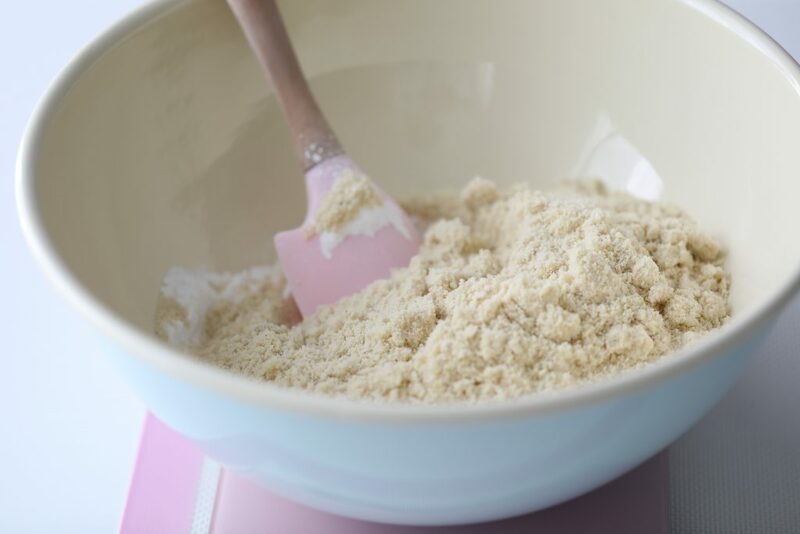 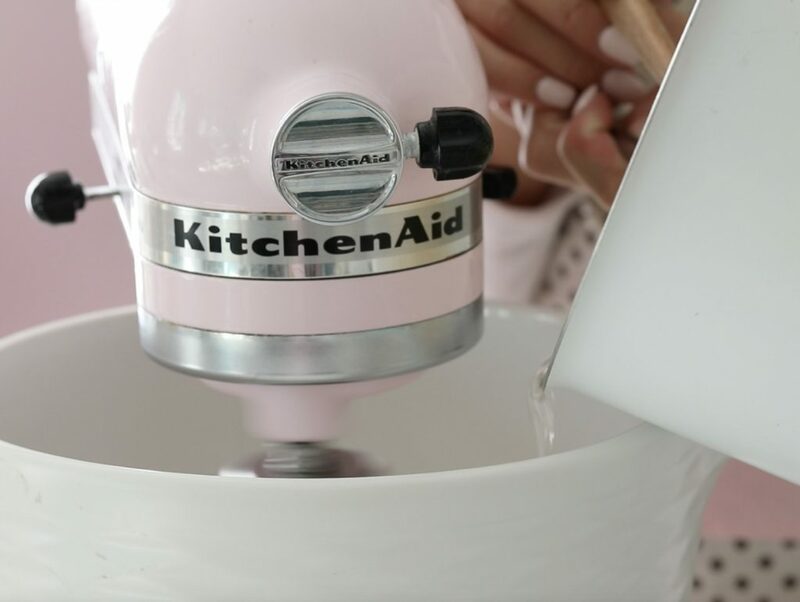 Mix in a small amount of the cooled meringue into the almond mixture to loosen the batter. 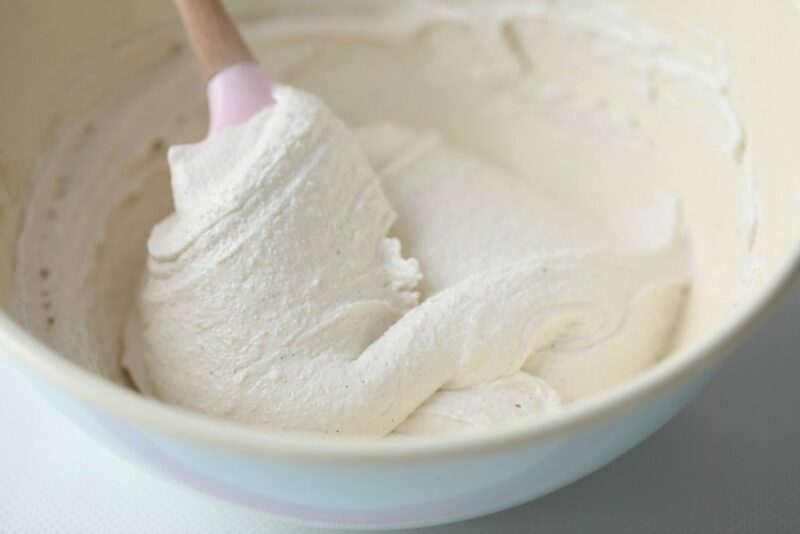 Then fold in the rest of the meringue into the almond mixture until a smooth batter develops and flows like “lava”. 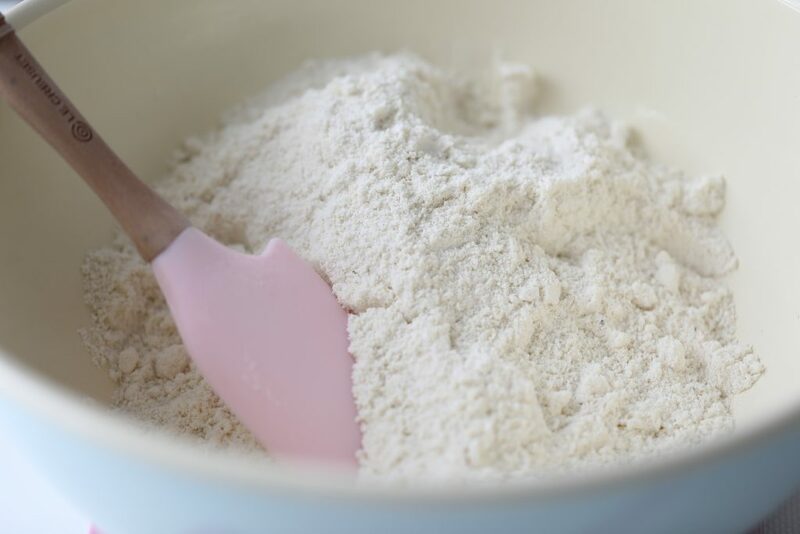 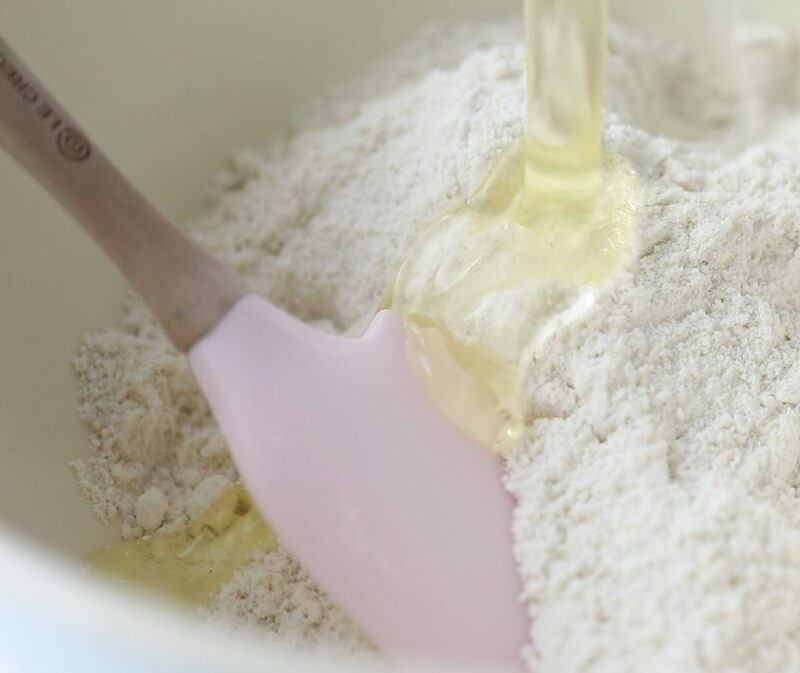 Check mixture often to avoid over-folding. 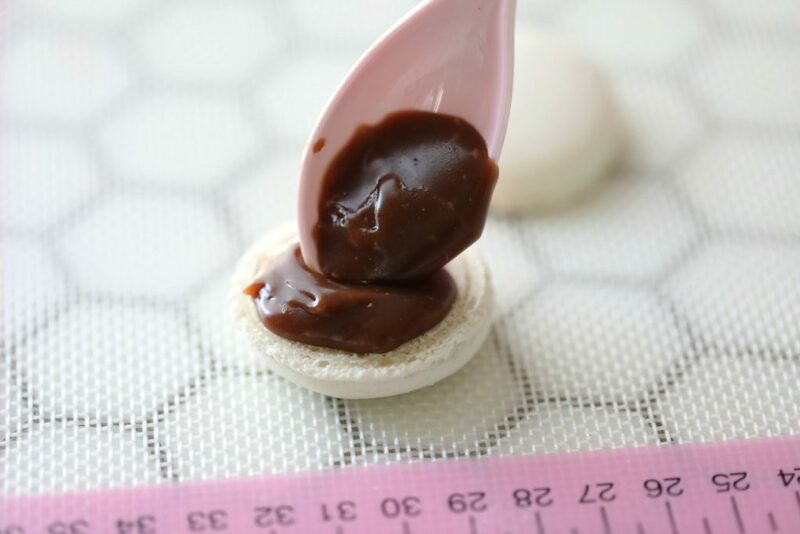 Fill the cookies with milk chocolate fudge frosting ( about a tsp for each sandwiched cookie.) 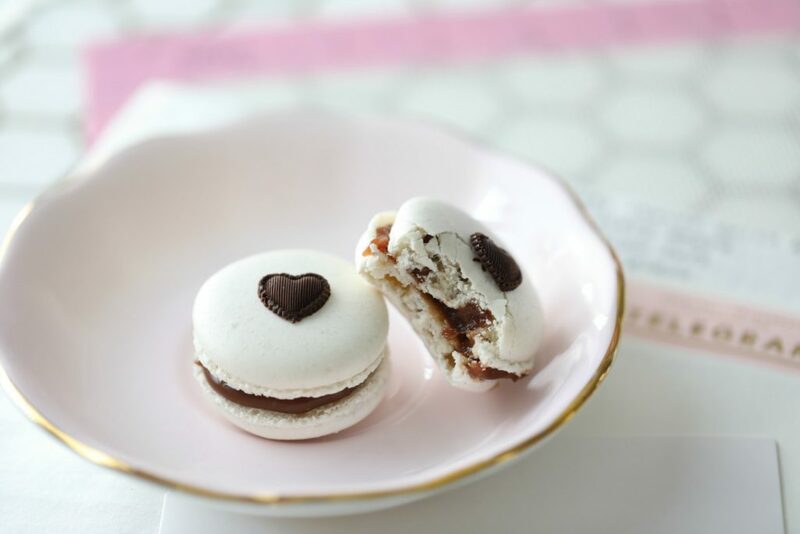 and sandwich the cookies together.